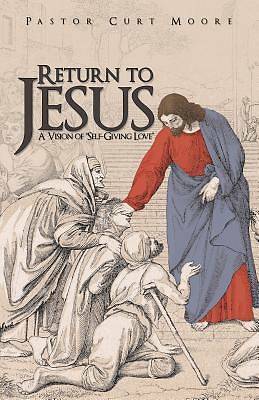 A Vision of "Self-Giving Love"
This book is not about social justice, or Jesus as an economic Savior of the world. Jesus spoke of and lived an individual life of -agapeo-, which is -self-giving love-in action. He didn't lead a physical overthrow of or an uprising against the political and religious structure of his day. Jesus didn't take his message to the political or religious institutions and leaders of his day. Rather, he went to everyday, ordinary people with his message of -agape- and his life of -agapeo-. He showed us through how he lived the way that we should live. This is of each individual man and woman living a life of -self-giving love- toward others. This means each and every born-again believer, sharing -agape- with someone else, allowing God's true design for the world to be accomplished. Thus, we as individuals would honor our God with the selfless devotion that he is due. Then, we are to share this honoring of God in our dealings with every person with whom we come into contact with in our life God's people living the life Jesus modeled would provide social and economic justice in the world. However, it would not occur through governments, political structures, or religious denominations and institutions. Rather, it would be through individual people, one person at a time. This is the -agape- that Jesus spoke of and is the -agapeo- through which he lived his life. I encourage you to join me in this book, and learn a new way to view the living of your life as a Christian. There is nothing new about this message. It is what Jesus was preaching and living from the beginning of his life on earth, until the day he ascended into Heaven. It is a life of -AGAPE- or -SELF-GIVING LOVE-.